With prices ranging from under $30 to over $300, there's an at-home ice cream maker for every budget. During the summer — or any time of year, really! — it's nice to be able to enjoy a cool, homemade treat without having to run to the store or ice cream shop. That's where an ice cream maker comes in handy! Surprisingly, you have quite a bit to consider when looking for one of these frozen-dessert devices. 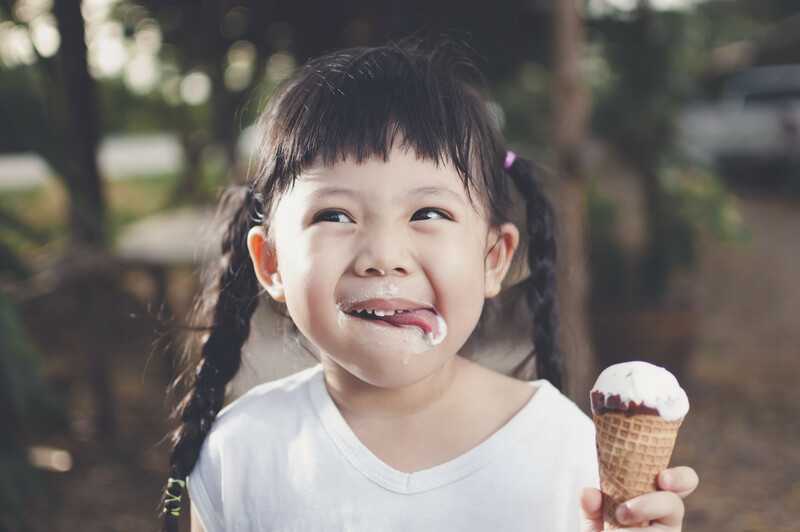 To make your shopping experience easier, we tell you about five things you should know when buying an at-home ice cream maker. Many popular ice cream makers go for $40 to $100, but you can still find a quality machine for under $30. For example, there's the Nostalgia ICMP400 4-Quart Electric Ice Cream Maker ($24 on Amazon). It's a fast and easy way to make traditional ice cream, frozen yogurt, or gelato. Unlike most modern ice cream makers, the Nostalgia ICMP400 harkens back to the old days of using ice and salt to make ice cream. Popular ice cream makers usually cost between $40 and $100, but you can still find quality machines for under $30. The Hamilton Beach 68320 1.5-Quart Ice Cream Maker ($26 on Amazon) is a bit more modern but has a similar price. While this machine makes smaller batches, all you have to do is put the gel canister in the freezer overnight. Then you add your ingredients, and you can get fresh ice cream in 25 to 40 minutes. Ice cream or gelato not your thing? No worries – you can still make a sweet, icy treat that will keep your diet on track. One device to consider is the Yonanas Classic dessert maker ($40 on Amazon), which lets consumers make their own fruity sorbets and other non-dairy alternatives at a reasonable cost. The Yonanas Classic is essentially a soft-serve ice cream maker for sorbet. All you have to do is freeze your favorite fruits and run them through the chute. This maker can also help kids eat more fruit during the hot summer months! Though price is an important consideration when buying any appliance, don't forget about quality. Cuisinart is probably one of the first brands that comes to mind when you think of at-home ice cream makers, and for good reason. The Cuisinart ICE-70 Electronic Ice Cream Maker ($112 on Amazon for Prime members) is another evolution of the brand's signature ice cream maker. This machine churns out 2 quarts of ice cream, frozen yogurt, or sorbet in just 20 minutes. It also has 4.5 stars on Amazon with 478 customer reviews, making it one of the highest-rated options. If you're up for shelling out more cash, your ice cream-making process could get faster and easier. You can find a high-quality, multiuse ice cream maker for less than $300. The Whynter ICM-15LS Ice Cream Maker ($266 on Amazon), for instance, brings just about everything to the table when it comes to making ice cream at home. It's a self-contained frozen dessert maker and doesn't require any pre-freezing, which is the most time-consuming step with most standard ice cream makers. The Whynter ICM-15LS was also voted as Wirecutter's "best ice cream maker" of 2018 because it made "some of the smoothest ice cream" in their testing. Some other perks Wirecutter noted: It's easy to clean and scoop out of, and it runs quietly. Expect to spend over $200 for a high-quality, multiuse ice cream maker. These machines come with special features and can be quieter. The Cuisinart ICE-100 Compressor Ice Cream and Gelato Maker ($235 on Amazon), meanwhile, lets you make multiple batches of ice cream, gelato, and sorbet, and you don't need to wait between batches. Why? Because it has a commercial-style compressor. Aside from its two specialized mixing paddles (one for ice cream and one for gelato), the ICE-100 also features a mix-in opening on its transparent lid, so you can add your favorite toppings and mix-ins right into the batch without having to interrupt the freezing cycle. It might sound crazy to pay more than $300 for an at-home ice cream maker, but if you're serious about making some of the most decadent frozen treats from the comfort of your own home, you might want to spend the big bucks. One high-end machine is the Breville BCI600XL Smart Scoop ice cream maker ($319 on Amazon). It was listed as the "Investment Piece" on Good Housekeeping's list of the best at-home ice cream makers. The Breville Smart Scoop was also the runner-up on Wirecutter's list, and for good reason. This maker offers up 12 different hardness settings for sorbet, frozen yogurt, and ice cream, and includes a self-freezing compressor that'll keep your ice cream at your specified texture for up to three hours. If you really want the best of the best, you may want to check out the Lello 4080 Musso Lussino 1.5 Quart ($615 on Amazon). Wirecutter called the Lello the "crème de la crème of home ice cream makers." This model can freeze up to 3 quarts of ice cream or sorbet per hour. Its timer controls the operation for a variety of frozen treats besides ice cream, such as gelato, frozen yogurt, and even frozen drinks. The Lello also churns its frozen goodies out in about 30 minutes, which is faster than most large-quantity at-home ice cream makers on the market. Readers, what ice cream makers do you prefer? Let us know in the comments below!